I got a new trombone this week. It was probably the easiest trombone purchase I’ve ever made. New horns are typically huge, important investments: every horn I’ve ever bought (besides my first Bundy) has come with days/weeks/months of testing, debating and fretting. This instrument, however, didn’t come with a huge price tag (just $150 from Hickey’s Music Online) and so wasn’t such a big deal. In fact, I bought it sight unseen, having never heard or held one. Why? I direct the pep band at Dickinson College and don’t trust myself to bring anything I can dent into the stands. So when I saw the plastic Jiggs Whigham pBone, in red (Dickinson’s colors are red and white) and for only $150, I thought it was a risk I could take. tl;dr: The pBone is an extremely playable, durable instrument bound to find its way into elementary schools and ska bands around the world. The pBone is made of plastic with a carbon fiber inner slide (with metal stockings and a plastic outer slide) and a metal counterweight. The instrument is extremely light. 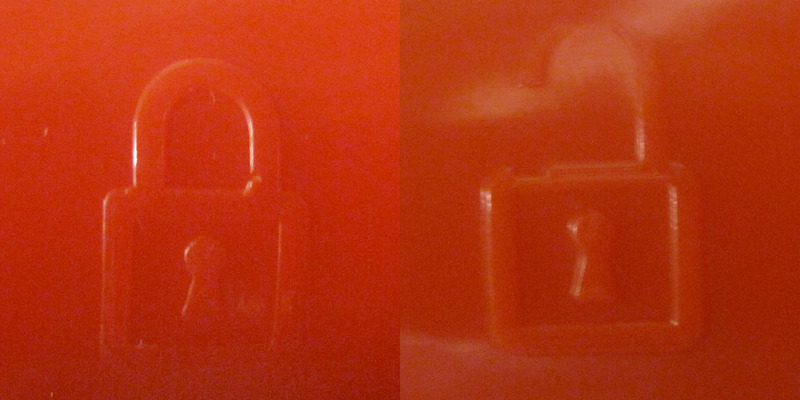 The slide lock is giant and actually has a visual aid on the horn to let you know when it’s locked and when it’s not. The spit valve (does anyone call it a water key?) is awkwardly placed on the outside of the slide. It’s one piece with no cork, a design that I wonder if others will be implementing. It comes with a matching plastic mouthpiece that reminds me of the Giardinelli I played on for a year during high school. The mouthpiece is functional but I find it plays better with my Giddings & Webster. 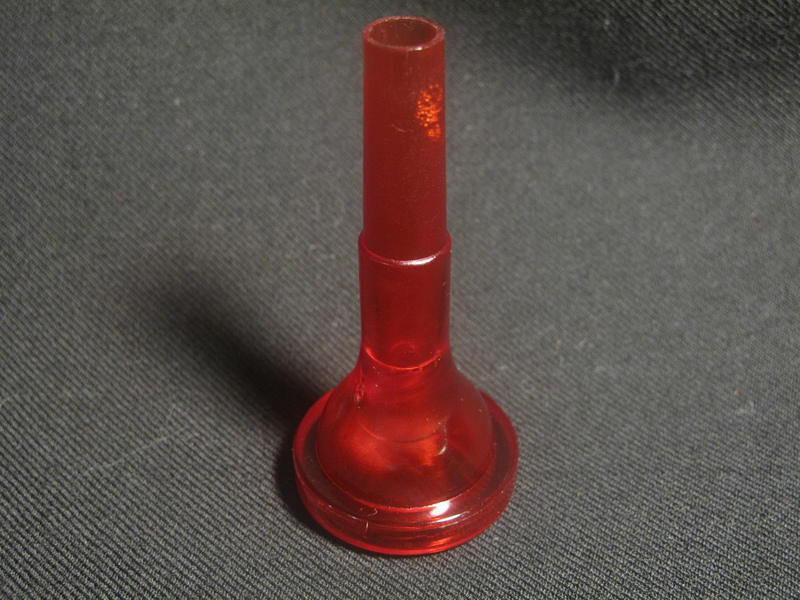 Any small shank mouthpiece will fit in the instrument. The slide and bell section are held together by friction (not screwed together) like some older trombones and is very secure. The giant grip feels oversized in my hands but is probably rather ergonomic. A player can get a decent sound on the pBone. The low register (B flat at the bottom of the bass clef staff and lower) sounds slightly more “plasticy,” for lack of a better word, than the upper register. The overtones are pretty well in tune. Overall the sound can be warm and pleasing and holds up through extreme dynamic ranges. The slide action is my biggest issue with the instrument. I’m not sure if it’s the particular horn I purchased or all the pBones but the slide sticks quite a bit and makes a scraping noise even after oiled. Slide-o-Mix has been ineffective, I’ll try some Trombontine when I get a chance to order it to see if that helps. 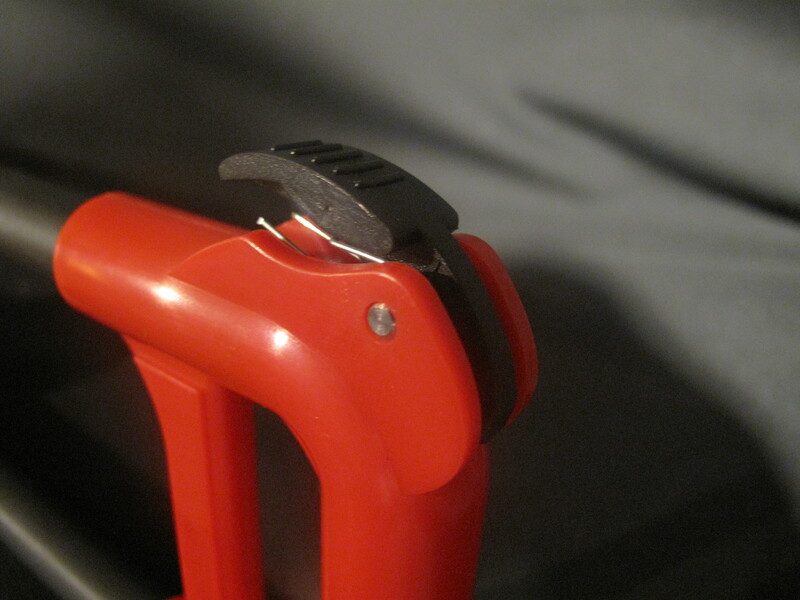 The slide issue is pretty significant, it makes small tuning adjustments impossible (you hope the slide gets to the right place the first time, otherwise you’re out of luck) making subtle playing a real pain. update: I’ve learned via Kessler Music (via redditor sillybear25) that the slide “scratchiness” is normal and will go away as the metal inner stockings wear away the plastic of the inner slide. Excellent news, though with my once a week usage of the horn I expect it may take a few months before mine becomes truly playable. The pBone is a competent instrument. I’ll happily spend my Saturdays playing “Sledge Hammer” on it. The playability, durability and cost are right. I foresee band programs having sets of these in their school colors for their youngest players to use, though I fear legions of trombonists learning on instruments with poor slide action. If the slide issues can be worked out the pBone will be a phenomenal first instrument. Until then it’s an alternative but those who can afford and be trusted with a more expensive and “dentable” metal instrument should seriously consider it. This entry was posted in Music, Photos, Review, Trombone and tagged Music, pBone, Review, Trombone on October 3, 2011 by mich5812.